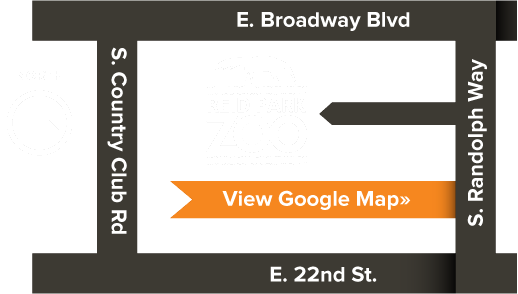 Reid Park Zoo’s Summer Safari Nights, presented by Tucson Medical Center, are back in 2016! Enjoy the Zoo each Friday during cooler evening temperatures with the added benefits of live music, family-friendly animal features, special dining options, and even gift shop discounts! Bring a blanket and purchase your dinner or snacks (or even a cold beer or glass of wine), then relax and enjoy a picnic concert. Wander through the Zoo for Keeper chats, animal encounters, sponsor booths, and wildlife activities*. The bands and animal themes will change each week, so be sure to mark your calendar for every Friday, May 20th -July 8th! *During evening events, animals are given access to their night-houses for their comfort. Some animals may choose to be off exhibit. Tickets and Discounts – Avoid Lines, Purchase Online! Use the calendar to select dates and purchase tickets online. If you can’t attend the night of your ticket, you may attend another night of Summer Safari. June 3rd: Animal Playground: Watch Training and Enrichment with Zoo Animals (Otter, Lemur, Bear). Night will also feature conservation related vendors.